I have been trying out the Shikai Hand & Body Lotion on and off for a few years, but mostly this past week and I wanted to share my experience with you! I think you can pretty much find this product anywhere! A little Info on the SHIKAI Company! *Each Ingredient is selected for its effectiveness and safety. Natural ingredients are always preferable and are used whenever they meet this criteria. * Each SHIKAI product contains a natural ingredient or botanical extract which is responsible for doing what it is the product claims to do. Only high quality ingredients which work are used and in amounts which are effective. No ingredients are added simply for “label claims”. They also claim to use Pharmaceutical Grade as opposed to cosmetic grade ingredients whenever possible, in addition to the purest, highest grade fragrances. 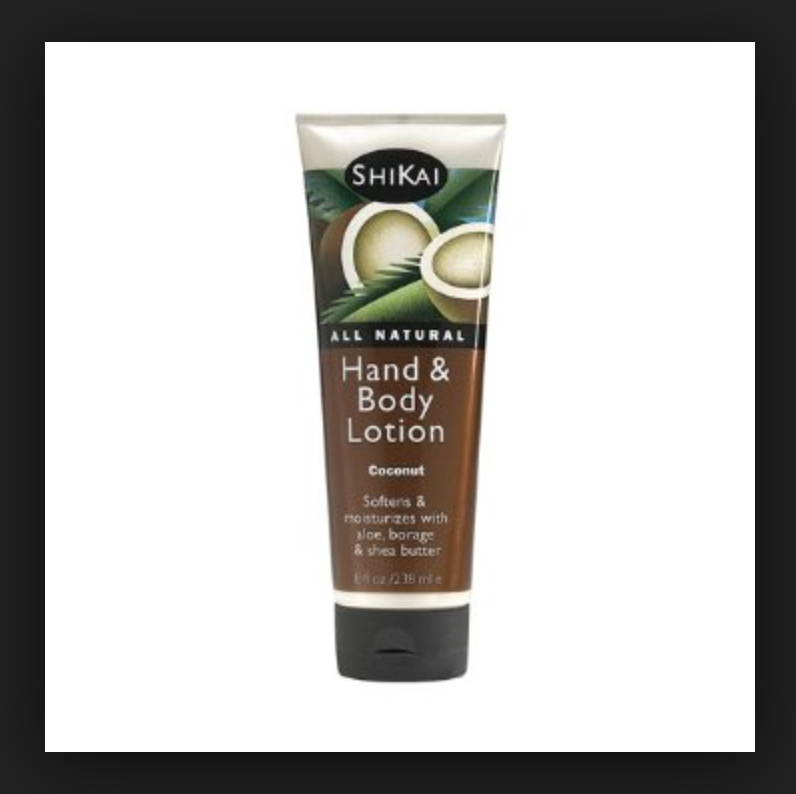 so I have become especially sensitive to the word “fragrance” in the last few years..
SHIKAI Hand & body lotion has a high concentration of pure aloe vera, wheatgerm & apricot oils soothes sensitive skin. Shea butter provides a soft, silky feel and clinically proven borage oil delivers moisture and relief to dry skin. It really does provide a deep lever of moisture without the greasiness!! The Lotion is $8.99 from the website, but I have seen it for less on line and in some stores! Overall I do think this is good product, I am a little worried about how natural this is.. and there is not a lot of info out there about it, but as far as being cruelty-free and vegan.. it has that one covered, so if you are in a grocery store and you are reaching for that Dove, Garnier or Nivea!! remember there are better options out there that are better for you, the animals an the environment.. Thanks so much for reading! and as always YOU’RE WELCOME! please follow me for more cruelty-free and vegan product reviews or introductions! this post was not sponsored or paid for, these are just my honest opinions! Next Mint Watermelon Ice-cream Sorbet!